The 71st World Health Assembly, 21-26 May 2018, closed its session leaving nutrition advocates with mixed feelings about the finally adopted Resolution on infant and young child feeding. 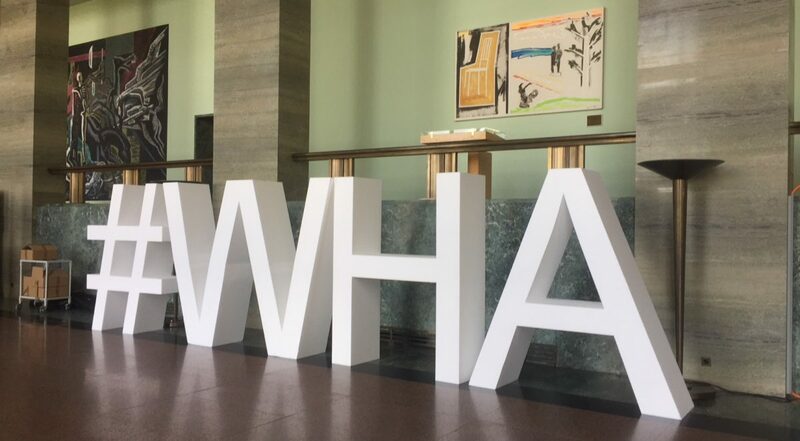 IBFAN attended the WHA71 with a large team, including representatives from several IBFAN regional offices. Like every two years, the World Health Assembly discusses and approves a Resolution concerning infant and young child feeding. This year, after the publication of a first draft text of the Resolution, co-sponsored by 18 Member States, a drafting committee has been created in order to re-open the discussions and compare the draft resolution with a decision proposed by the United States. It took two full days of negotiations for the drafting committee to find agreement on the final text of the Resolution that has been adopted by the WHA on Saturday morning. More information and analysis on the approved text is available on Baby Milk Action/IBFAN UK website. The official documents are available here.